DISCONTINUED. 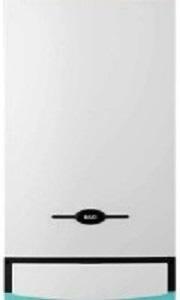 The Baxi combination 105 HE boiler is a high-efficiency model intended to satisfy even the largest of domestic hot water requirements. The Baxi Combination 105 HE Boiler is a 30kW boiler. Making this boiler ideal for larger properties with a higher demand for heating and hot water. Combi Boilers supply hot water and heating on demand by using the mains water supply. This means you don't need to have bulky tanks or cylinders - making them perfect for homes where space is limited. This boiler since fitted has been a constant source of irritation - 5 years worth. Even the 2 BG guys who installed it had different views on it&#039;s reliability. Baxi should provide BG Homecare as a package with this product because 2-3 times/year we have to call them out to repair it. Final straw was a Christmas breakdown. It&#039;s getting replaced. Oh! forgot to mention - when it is working probably 99% of the time it&#039;s great. Fast heating of the house and lashings of good pressure hot water but it&#039;s the other 1% which is a big problem.